My blog turned two years old today! You can make your own Bayeux Tapestry art at Historic Tale Reconstruction Kit. Reaching two is quite a feat! 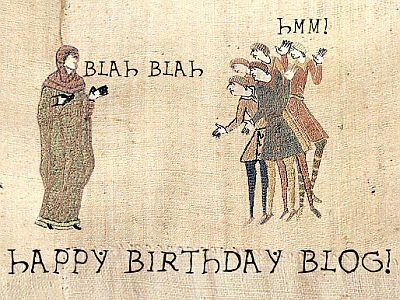 May you celebrate many more blog birthdays!